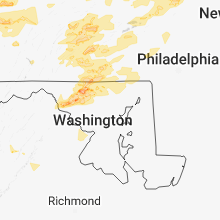 The East Berwick, PA area has had 0 reports of on-the-ground hail by trained spotters, and has been under severe weather warnings 20 times during the past 12 months. Doppler radar has detected hail at or near East Berwick, PA on 17 occasions, including 2 occasions during the past year. 10/2/2018 5:03 PM EDT At 502 pm edt, a severe thunderstorm was located near rohrsburg, or 9 miles northwest of berwick, moving east at 30 mph (radar indicated). Hazards include 70 mph wind gusts and quarter size hail. Hail damage to vehicles is expected. expect considerable tree damage. Wind damage is also likely to mobile homes, roofs, and outbuildings. 6/18/2018 5:27 PM EDT At 527 pm edt, severe thunderstorms were located along a line extending from near bethany to near mount cobb to near bear creek village to near shickshinny, moving east southeast at 40 mph (radar indicated). Hazards include 60 mph wind gusts. Expect damage to roofs, siding, and trees. 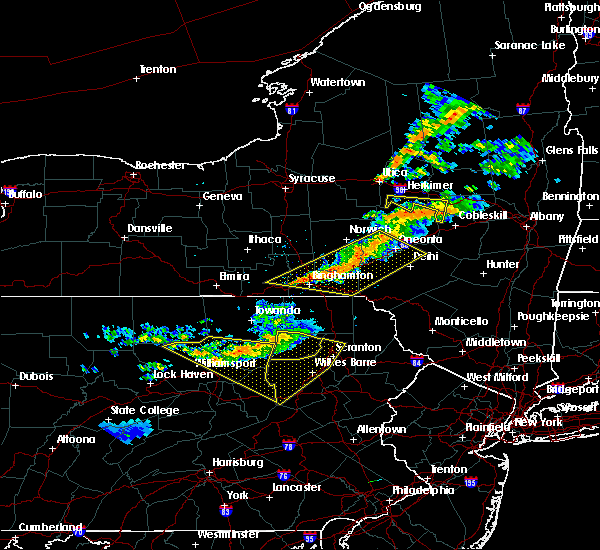 severe thunderstorms will be near, honesdale, prompton and bethany around 530 pm edt. moscow, arlington and ledgerdale around 535 pm edt. 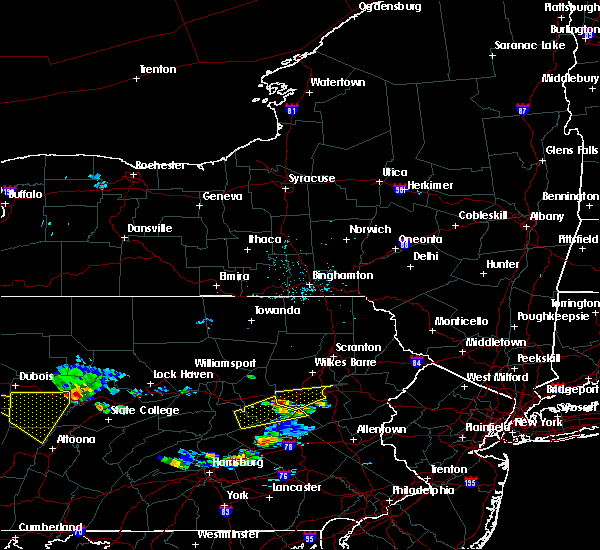 blooming grove, paupack and sterling around 540 pm edt. white haven, greeley and angels around 545 pm edt. stoddartsville around 550 pm edt. montague, milford and pecks pond around 555 pm edt. port jervis around 600 pm edt. Dingmans ferry around 605 pm edt. 6/13/2018 10:27 PM EDT The severe thunderstorm warning for southeastern lackawanna and central luzerne counties will expire at 1030 pm edt, the storms which prompted the warning are moving out of the area. therefore, the warning will be allowed to expire. however gusty winds are still possible with these thunderstorms. 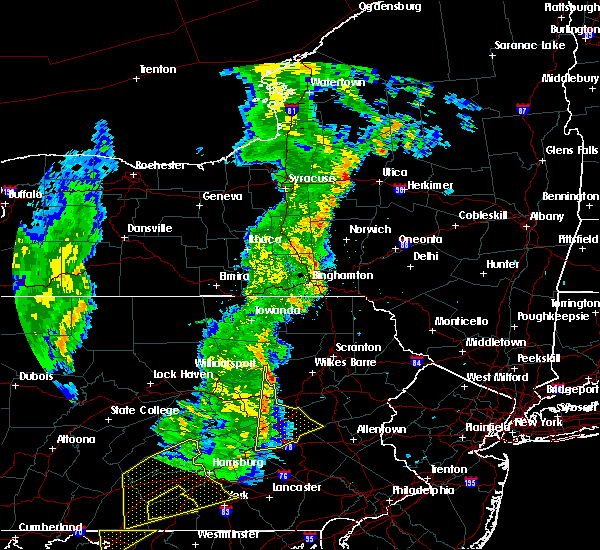 a severe thunderstorm watch remains in effect until 1100 pm edt for northeastern pennsylvania. to report severe weather, contact your nearest law enforcement agency. they will relay your report to the national weather service binghamton. 6/13/2018 9:40 PM EDT At 940 pm edt, severe thunderstorms were located along a line extending from central to near sweet valley to near west wyoming, moving east at 45 mph (radar indicated). Hazards include 60 mph wind gusts. Expect damage to roofs, siding, and trees. severe thunderstorms will be near, west wyoming around 945 pm edt. edwardsville and luzerne around 955 pm edt. 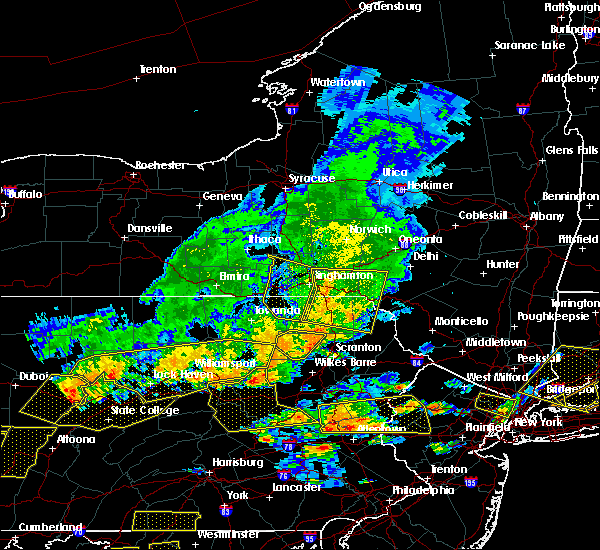 wilkes-barre, shickshinny and pond hill around 1000 pm edt. bear creek, slocum and bear creek village around 1005 pm edt. mountain top around 1010 pm edt. sugar notch, fairview heights and penobscot around 1015 pm edt. Stoddartsville around 1030 pm edt. 6/13/2018 9:19 PM EDT At 919 pm edt, a severe thunderstorm capable of producing a tornado was located over ricketts glen state park, or 21 miles north of berwick, moving southeast at 35 mph (radar indicated rotation). Hazards include tornado and quarter size hail. Flying debris will be dangerous to those caught without shelter. mobile homes will be damaged or destroyed. damage to roofs, windows, and vehicles will occur. tree damage is likely. this dangerous storm will be near, muhlenberg, sweet valley and huntington mills around 940 pm edt. 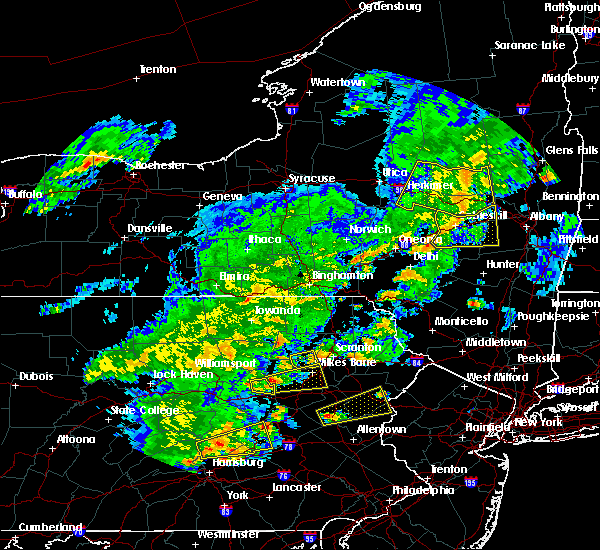 Shickshinny around 945 pm edt. 8/22/2017 7:37 PM EDT At 737 pm edt, a severe thunderstorm was located over huntington mills, or near berwick, moving east at 40 mph (radar indicated). Hazards include 70 mph wind gusts and quarter size hail. Minor hail damage to vehicles is possible. expect considerable tree damage. wind damage is also likely to mobile homes, roofs, and outbuildings. this severe storm will be near, muhlenberg, shickshinny and pond hill around 745 pm edt. slocum around 750 pm edt. mountain top around 755 pm edt. sugar notch around 800 pm edt. 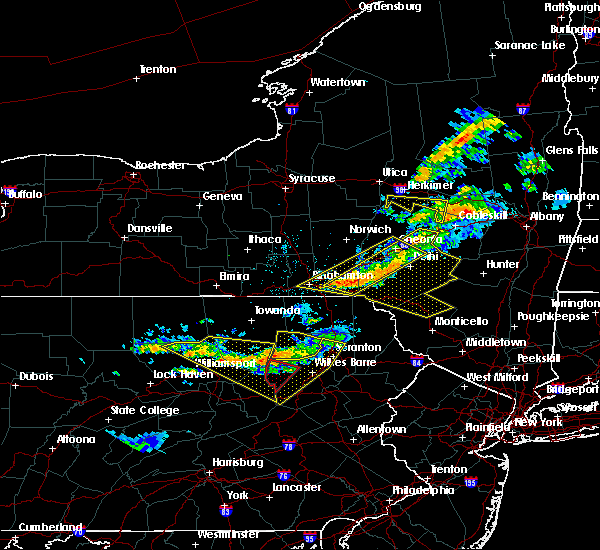 edwardsville, luzerne and penobscot around 805 pm edt. wilkes-barre around 810 pm edt. Bear creek and bear creek village around 815 pm edt. 8/22/2017 7:30 PM EDT At 730 pm edt, a severe thunderstorm was located near huntington mills, or near berwick, moving east at 40 mph (radar indicated). Hazards include 60 mph wind gusts and quarter size hail. Minor hail damage to vehicles is possible. expect wind to cause damage to trees, and power lines. this severe thunderstorm will be near, huntington mills and east berwick around 735 pm edt. beach haven around 740 pm edt. muhlenberg, shickshinny and pond hill around 745 pm edt. slocum around 750 pm edt. mountain top around 755 pm edt. sugar notch around 800 pm edt. 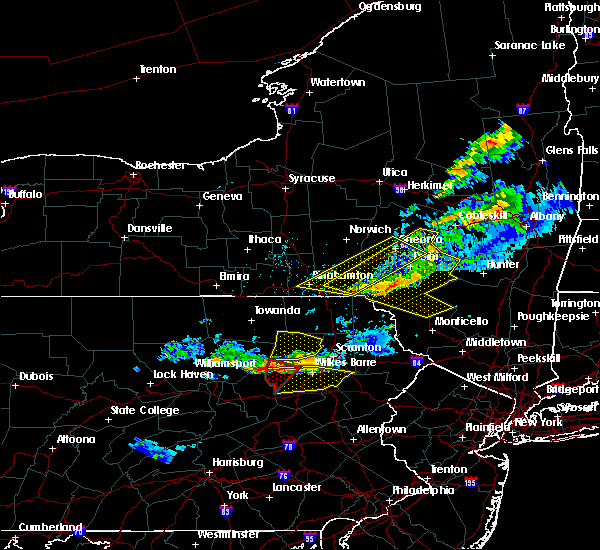 edwardsville, luzerne and penobscot around 805 pm edt. 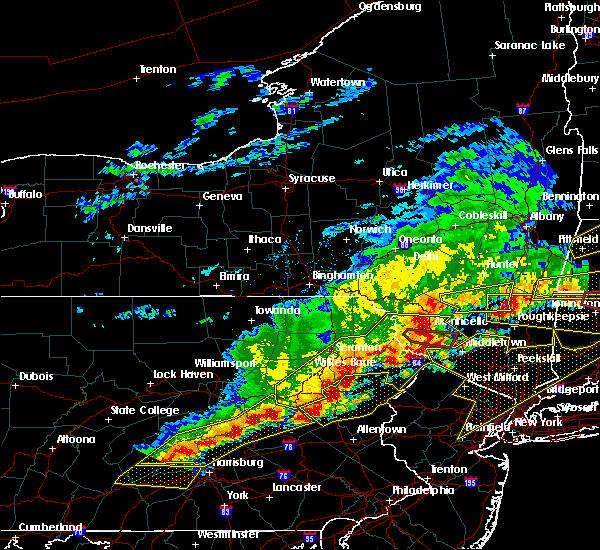 Wilkes-barre around 810 pm edt. 7/20/2017 5:42 PM EDT At 542 pm edt, a severe thunderstorm was located over huntington mills, or 9 miles north of berwick, moving southeast at 40 mph (radar indicated). Hazards include 60 mph wind gusts. Expect damage to trees, and power lines. this severe thunderstorm will be near, muhlenberg around 545 pm edt. shickshinny and east berwick around 550 pm edt. nescopeck, pond hill and beach haven around 555 pm edt. slocum and mountain top around 600 pm edt. conyngham and springtown around 605 pm edt. 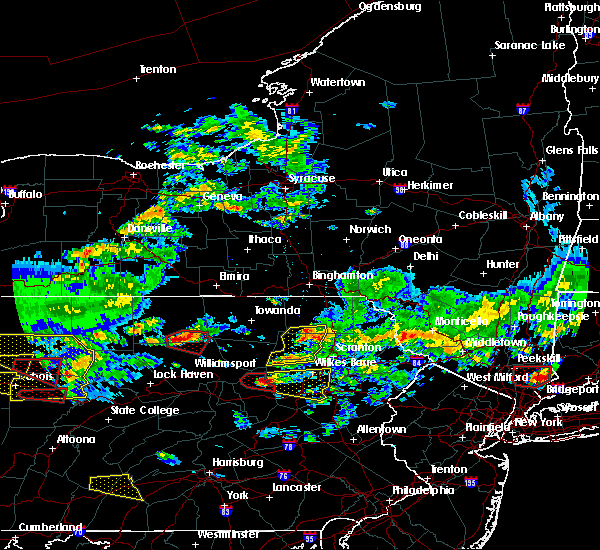 west hazleton and drums around 610 pm edt. Hazleton, freeland and drifton around 615 pm edt. 7/25/2016 4:41 PM EDT The severe thunderstorm warning for southwestern luzerne county will expire at 445 pm edt, the storm which prompted the warning has weakened below severe limits, and no longer pose an immediate threat to life or property. therefore, the warning will be allowed to expire. however gusty winds are still possible with this thunderstorm. 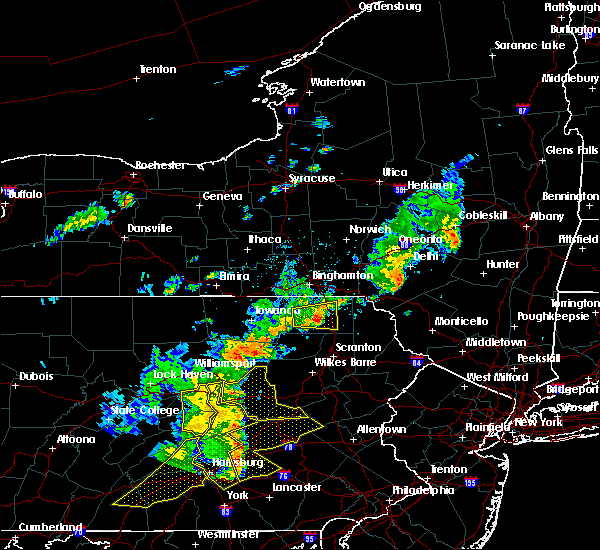 a severe thunderstorm watch remains in effect until 800 pm edt for northeastern pennsylvania. 7/25/2016 4:23 PM EDT At 423 pm edt, a severe thunderstorm was located over pond hill, or 7 miles northeast of berwick, moving east at 45 mph (radar indicated). Hazards include 60 mph wind gusts and nickel size hail. Expect damage to roofs. siding. and trees. this severe storm will be near, mountain top around 430 pm edt. sugar notch, springtown and drums around 435 pm edt. Fairview heights and penobscot around 440 pm edt. 7/25/2016 4:05 PM EDT At 405 pm edt, a severe thunderstorm was located over rohrsburg, or 10 miles northwest of berwick, moving east at 30 mph (radar indicated). Hazards include 60 mph wind gusts and quarter size hail. Hail damage to vehicles is expected. expect wind damage to roofs, siding, and trees. this severe thunderstorm will be near, fairmount spgs around 415 pm edt. berwick and huntington mills around 420 pm edt. nescopeck, beach haven and east berwick around 425 pm edt. 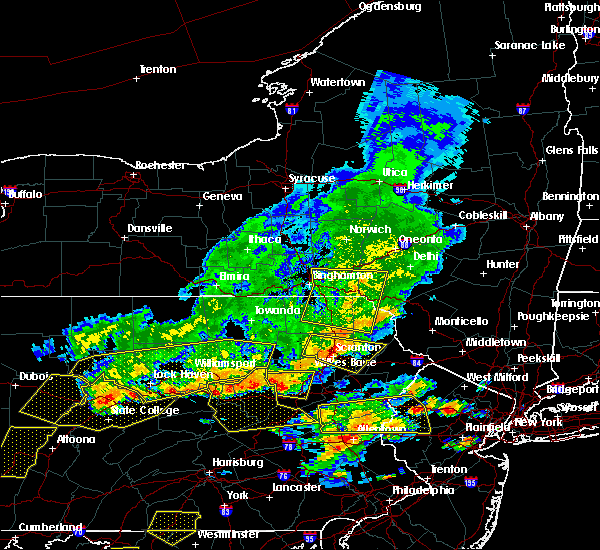 muhlenberg and shickshinny around 430 pm edt. pond hill around 435 pm edt. slocum around 440 pm edt. Sugar notch, mountain top and springtown around 445 pm edt. 7/25/2016 3:13 PM EDT At 313 pm edt, a severe thunderstorm was located over west hazleton, or near hazleton, moving east at 35 mph (radar indicated). Hazards include 60 mph wind gusts and quarter size hail. Hail damage to vehicles is expected. expect wind damage to roofs, siding, and trees. This severe storm will be near, freeland, drifton and woodside-drifton around 325 pm edt. 7/25/2016 2:37 PM EDT At 237 pm edt, a severe thunderstorm was located over mifflinville, or over berwick, moving east at 20 mph (radar indicated). Hazards include 60 mph wind gusts and quarter size hail. Hail damage to vehicles is possible. wind damage to roofs, siding, and trees is possible. this severe thunderstorm will be near, berwick around 240 pm edt. nescopeck and east berwick around 245 pm edt. beach haven and rock glen around 250 pm edt. shickshinny and pond hill around 300 pm edt. conyngham around 305 pm edt. 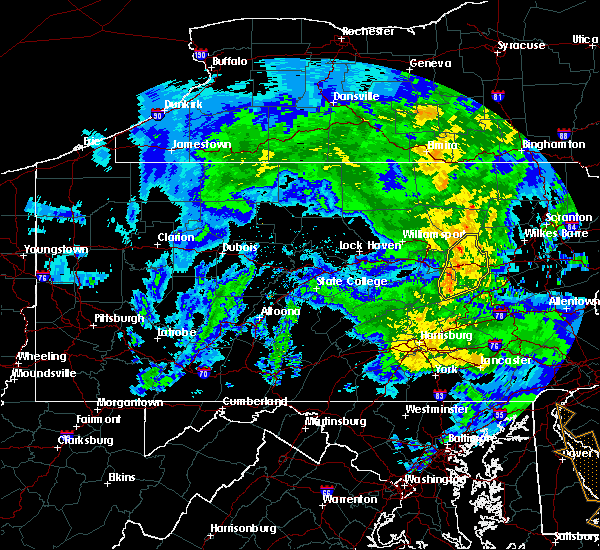 slocum around 310 pm edt. 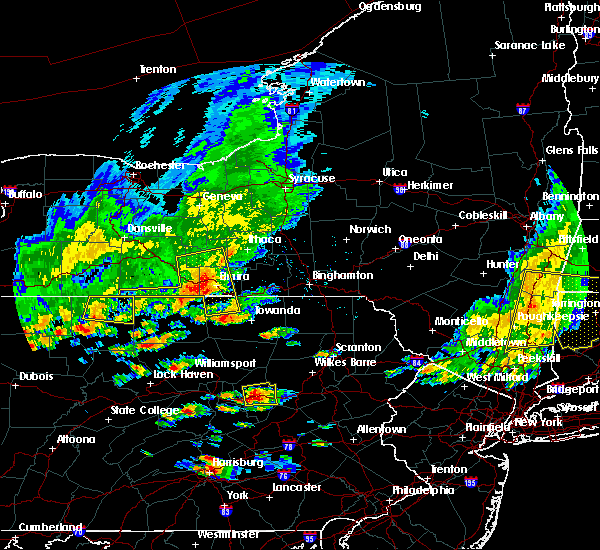 west hazleton and drums around 315 pm edt. Hazleton, springtown and mountain top around 320 pm edt. 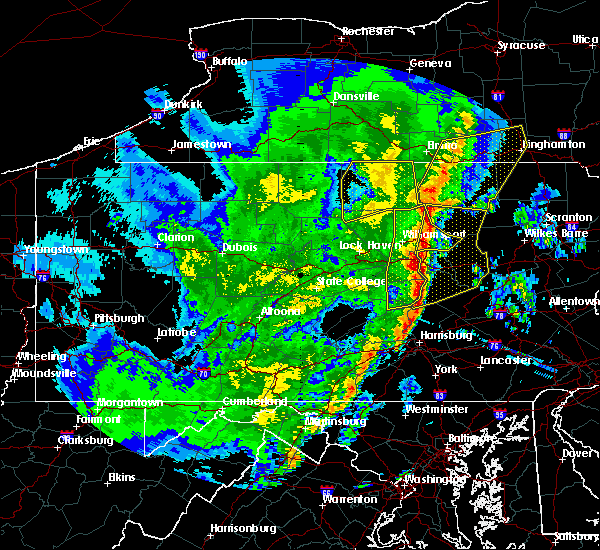 7/18/2016 1:03 PM EDT At 103 pm edt, severe thunderstorms were located along a line extending from near huntington mills to mifflinville to near elysburg, moving east at 35 mph (radar indicated). Hazards include 60 mph wind gusts and quarter size hail. Hail damage to vehicles is possible. wind damage to roofs, siding, and trees is possible. 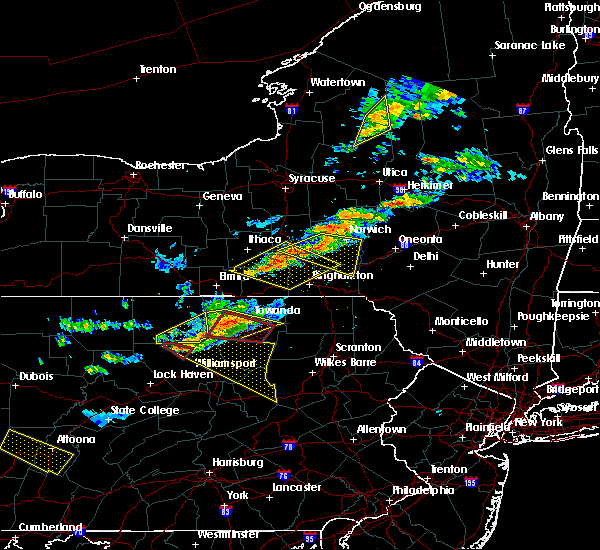 these severe storms will be near, berwick, shickshinny and east berwick around 110 pm edt. 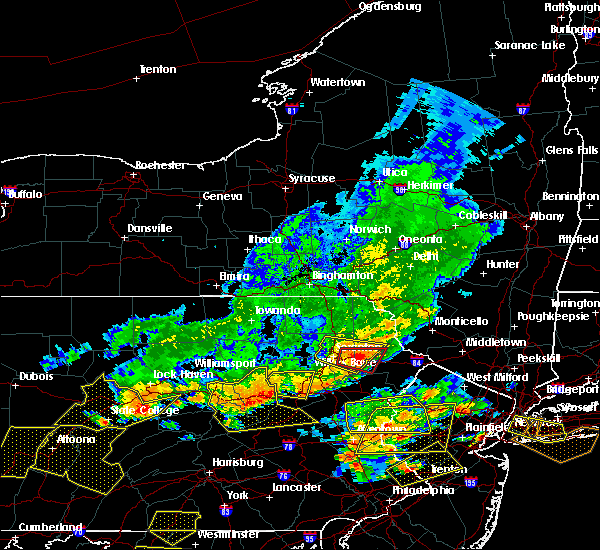 nescopeck, beach haven and rock glen around 115 pm edt. slocum and pond hill around 120 pm edt. conyngham and mountain top around 125 pm edt. 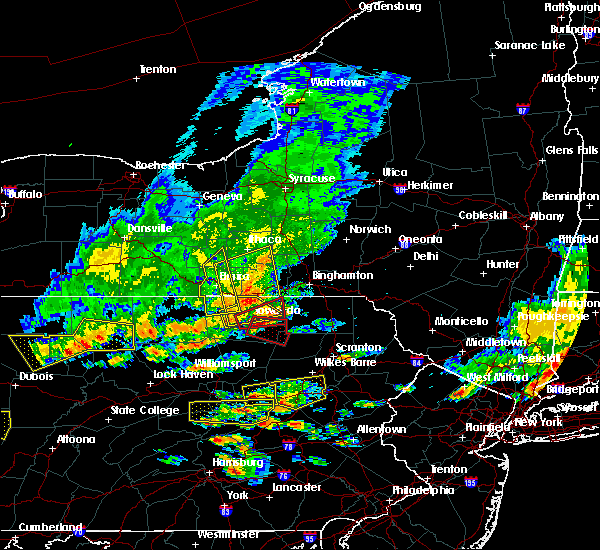 Hazleton, west hazleton and freeland around 130 pm edt. 7/18/2016 12:35 PM EDT At 1235 pm edt, a severe thunderstorm was located over jerseytown, or 9 miles north of danville, moving east at 40 mph (radar indicated). Hazards include 60 mph wind gusts and quarter size hail. Hail damage to vehicles is expected. expect wind damage to roofs, siding, and trees. 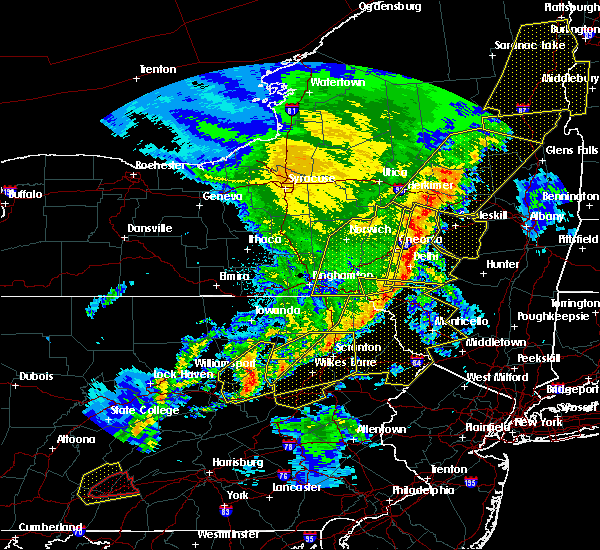 this severe thunderstorm will be near, berwick, nescopeck and east berwick around 105 pm edt. beach haven and rock glen around 110 pm edt. pond hill around 115 pm edt. 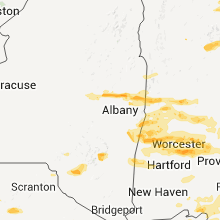 conyngham around 120 pm edt. west hazleton, drums and springtown around 125 pm edt. 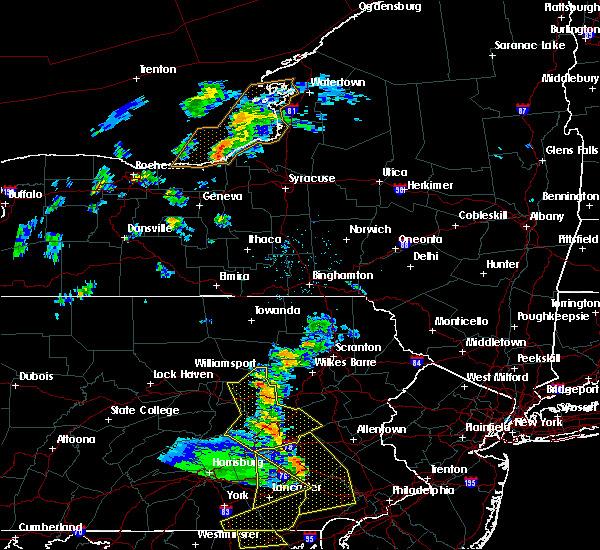 Hazleton, freeland and drifton around 130 pm edt. 6/23/2015 1:36 PM EDT At 136 pm edt, a severe thunderstorm was located over rock glen, or near berwick, moving east at 65 mph (radar indicated). Hazards include 60 mph wind gusts. Expect damage to roofs. siding and trees. 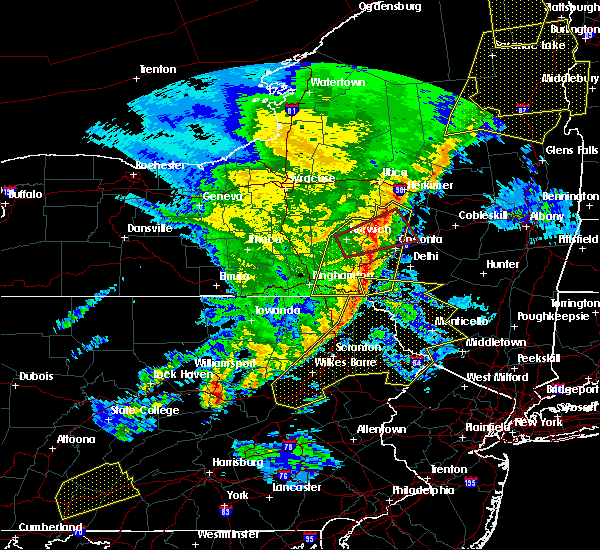 this severe thunderstorm will be near, conyngham around 140 pm edt. 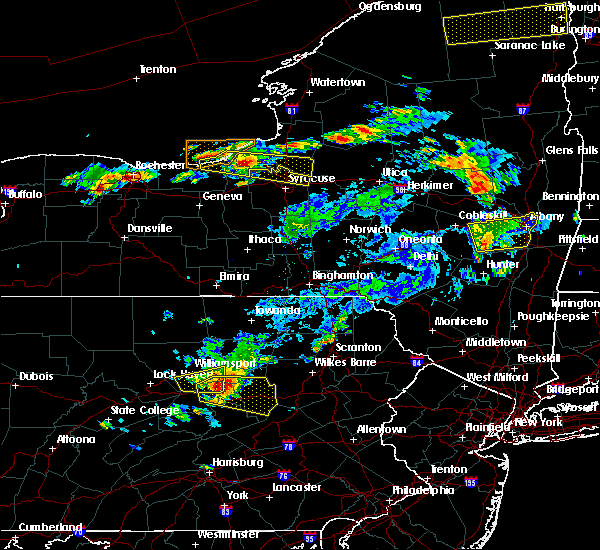 hazleton, west hazleton and drums around 145 pm edt. freeland, woodside-drifton and drifton around 150 pm edt. white haven around 155 pm edt. Stoddartsville around 205 pm edt. 6/11/2015 6:12 PM EDT At 611 pm edt, a severe thunderstorm was located over rock glen, or 8 miles southeast of berwick, moving east at 30 mph (radar indicated). Hazards include quarter size hail. Damage to vehicles is expected. this severe thunderstorm will be near, conyngham around 620 pm edt. west hazleton around 625 pm edt. 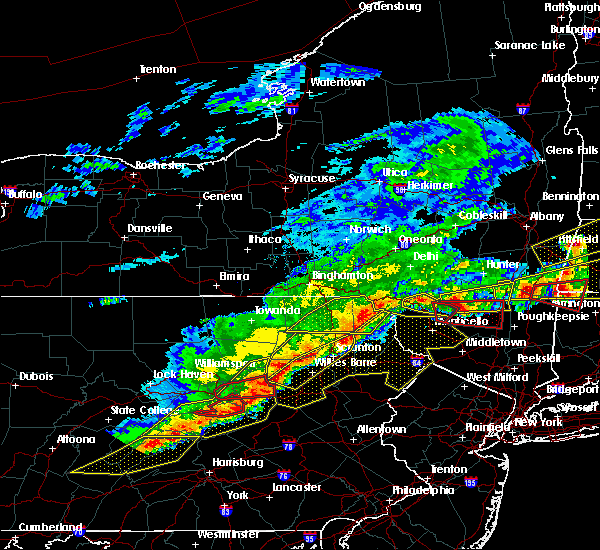 hazleton, drums and springtown around 630 pm edt. freeland, woodside-drifton and drifton around 640 pm edt. White haven around 655 pm edt. 5/31/2015 4:29 PM EDT At 429 pm edt, a severe thunderstorm was located over shickshinny, or near berwick, moving east at 20 mph (radar indicated). Hazards include 60 mph wind gusts and quarter size hail. Hail damage to vehicles is expected. expect wind damage to roofs, siding and trees. this severe storm will be near, pond hill around 440 pm edt. Slocum, mountain top and springtown around 445 pm edt. 5/31/2015 3:56 PM EDT At 354 pm edt, a severe thunderstorm was located over rohrsburg, or 9 miles north of bloomsburg, moving east at 20 mph (radar indicated). Hazards include 60 mph wind gusts and quarter size hail. Hail damage to vehicles is expected. expect wind damage to roofs, siding and trees. this severe thunderstorm will be near, berwick around 410 pm edt. east berwick around 415 pm edt. 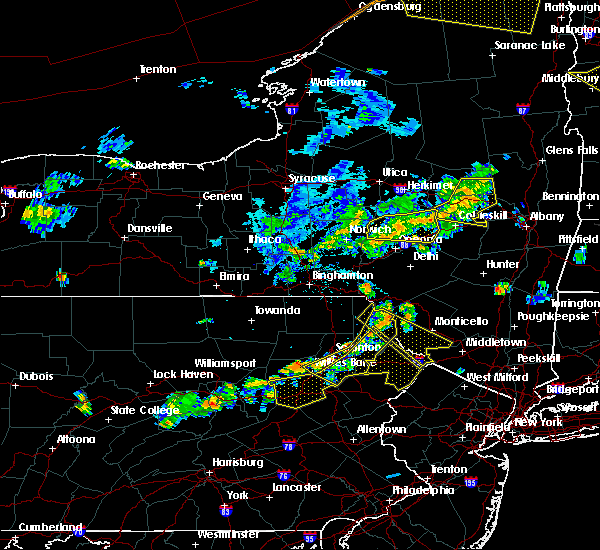 nescopeck, huntington mills and beach haven around 420 pm edt. 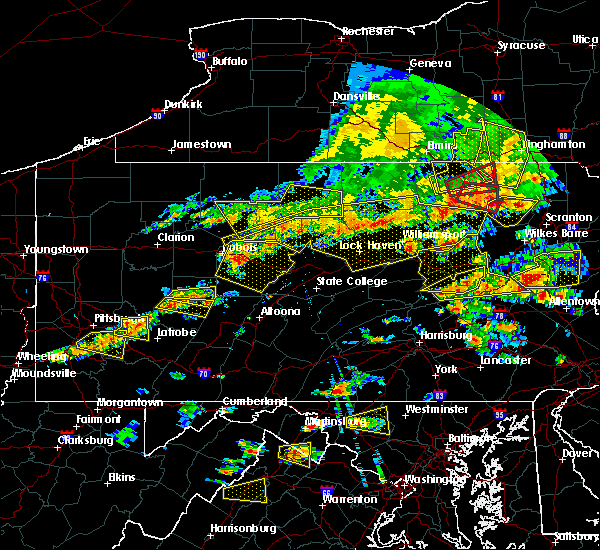 muhlenberg and shickshinny around 430 pm edt. pond hill around 435 pm edt. Slocum, sugar notch and mountain top around 445 pm edt.